Padmini is a recognised brand in the field of pressure cooker. 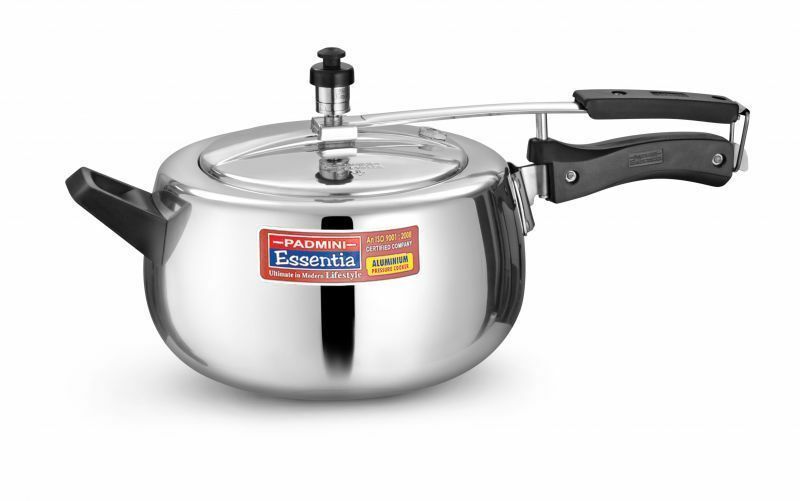 And now Infibeam brings to you the Padmini Essentia 5 litre Induction base pressure cooker. This cooker has a marvellous design and elegant looks. It will add charm to your kitchen. It is made up of high grade aluminium. The metal used is virgin aluminum to ensure zero contamination. It ensures health and safety of your family. The premier model is also available with an induction base. The handles have been designed to stay cool.